A year has passed by, yet I could remember it so clearly… it was the day my world turned upside down. A friend of mine opened a video he recently downloaded. He didn’t say anything about the content so I glared at the computer screen awaiting something to pop out. Finally the term Savior: OSL highlight video came flashing on the screen, I was about to ask "who is he?" when my friend told me "just watch". In awe I was watching as I saw plays get implemented so perfectly that I fell in love with their owner. The micro, the macro, and the style… everything was perfect! This was the model of a champion, the definition of the might of the swarm. It was Mae Jae Yoon's perfect play that turned me into the zerg player I am today. After that day, I was simply following this player's every step. Whatever he was playing I was watching. As he destroyed his opponents one by one, none was able to stop the monster until he started to become more shaky. The 3-0 Bisu destruction before the Shinhan OSL shocked him, and because of that hit his play just went down a tiny bit soon after he won the OSL title. Yeah, but the bad part is that it started and he started slumping… Yet, I looked all my friends in the face and said proudly that savior will never die!! However, reality was cruel and the truth soon became the only thing that mattered for everyone. But still, I was not admitting the fact he was gone for! I knew THE SAVIOR will return to the glory he once had! My dreams are on what happened to savior are limitless! I would dream that he won another MSL and returned to his glory every once in a while. Two weeks ago I dreamt that I was somehow getting married to savior which was totally freaky! But the symbolism in those dream show how attached I am to this great character. Savior didn’t suddenly lose his skills; it's just a mental break he suffered in the last months. I didn’t and ever would vote against savior under any circumstances. My love for savior and my respect to him will never end no matter what. 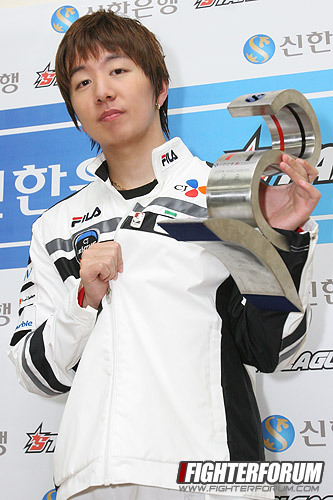 CJ Entus which is the team that savior belongs to went through lots of hardships to get to where they are now. They are a hardworking team that really holds together and have their own chemistry. As my love for savior grew so as my love and respect for CJ. Now finally getting this opportunity, to receive something that has CJ's essence on it and the hard work of all the team's sweat and tears gives me an inexpressible feeling. Savior and CJ will remain my favorite player and team respectively forever and ever. If I get a chance to hold on to something that gives any memories of them, I will cherish that thing for the rest of my life. where is shallow[bay] to read this? FBH would not agree. ahahahahahahahaa. But yeah hopefully Savior steps up again and wins something big. Uhm, I love Boxer like you love Savior. I watch like 5 boxer videos every day (the same, over and over again), and I watch his power interview at least every other week.